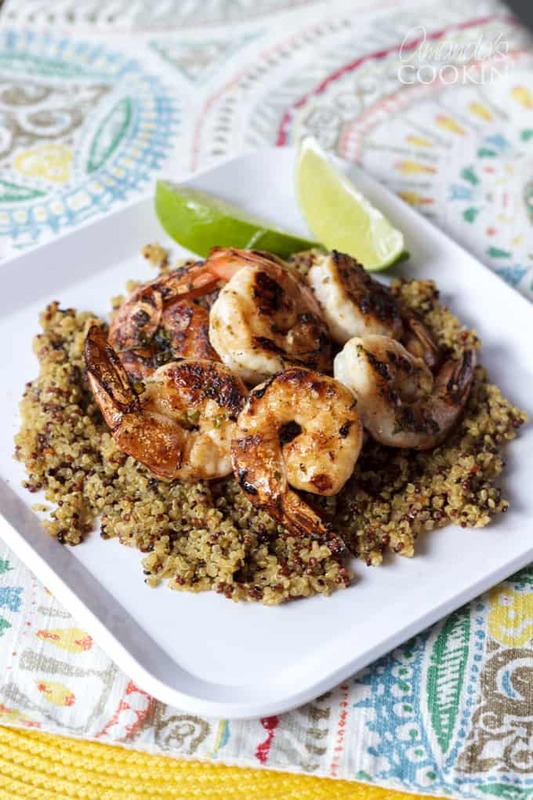 This Chili Lime Shrimp is not only delicious, but it’s also versatile! Eat it for dinner, or use as an appetizer, on shrimp tacos, with pasta, or salad! 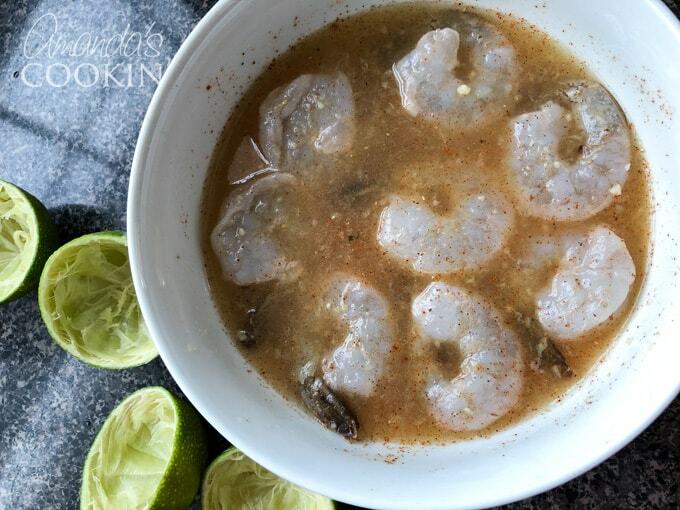 This super easy shrimp marinade comes together quickly and the results are so satisfying! As of a couple months ago, I am officially an empty nester. And since I’m divorced, that means cooking for one. That’s pretty challenging when you’ve spent the last 25 years cooking for six people! Shrimp dishes have become my new best friend. 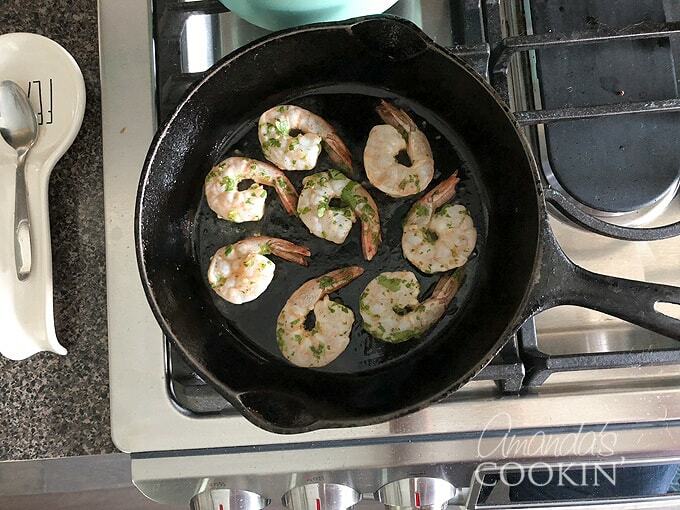 I love cooking shrimp in the skillet, in my cast iron pan, and of course, on the grill! Last month I made skewered shrimp on the grill for my daughter’s bridal shower and they were fabulous. Shrimp comes together so quickly, and it’s great for dinner, lunch or as an appetizer. You can’t go wrong. It’s funny when I made my chili lime shrimp for the first time, I literally just threw it together. There are other recipes out there on the internet, but I never looked at any of them. 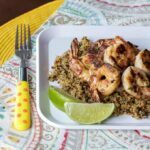 I always have plenty of lemons and limes on hand because they are the perfect marinade for chicken and pork, so I assumed it would be great for shrimp as well. I tried to keep my recipe pretty simple. I’m sure you could spice it up by adding red pepper flakes or change the flavor by using a smoked paprika. I love the combination of cilantro, lime, and garlic, so that’s basically what you’ll find in this recipe. Peeled and deveined shrimp – you can buy shrimp already prepped, which is what I do, or you can buy it shelled and do all the work yourself. Your choice! Limes – please only use fresh limes. The lime juice that comes in those little plastic containers or the bottles is just not the same. Chili powder – just basic chili powder is fine, but if you have a variety that you like, by all means, use it! Garlic – fresh or jarred is fine for this marinade. Fresh cilantro – I love this herb more than any other! It adds great flavor combined with the lime. Olive oil – I use extra-light olive oil, which is good for high-temperature cooking. Extra virgin olive oil works great too! Cast iron skillet – if you’re wondering if you can use a regular skillet, yes you can. I just like cooking in my cast iron pan as much as possible! Glass dish for marinating the shrimp, but a big bowl totally works too. 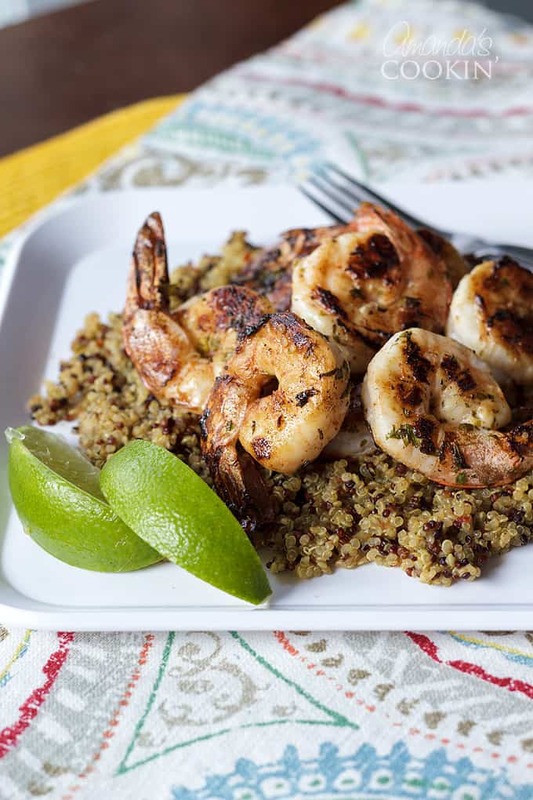 Tongs – for turning your shrimp. Herb scissors are a staple in my kitchen, I use them several times a week. Electric citrus juicer or manual juicer to juice those fresh limes! Juice two medium limes. I use this juicer. I am always juicing lemons and limes, so I keep it on the counter. For me, it’s not one of those gadgets that you never use and store away in the cabinet! Chop cilantro. If you use fresh herbs a lot as I do, then these herb scissors are a huge time saver. I use them all the time! Make the marinade. 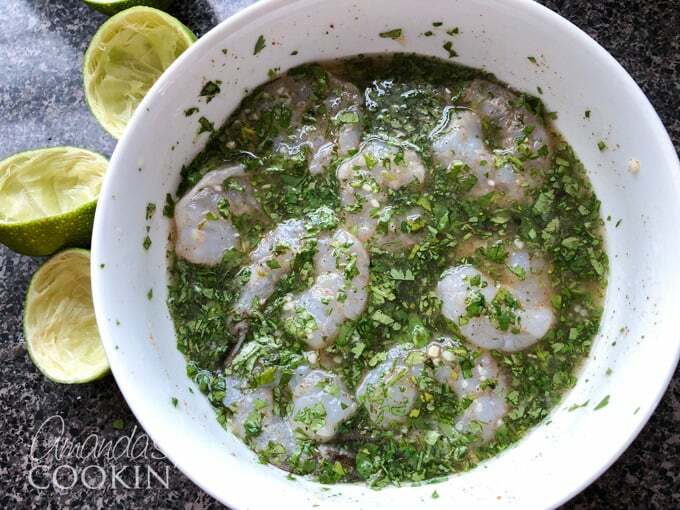 Combine the fresh lime juice, chili powder, garlic, and cilantro and mix well. Marinate the shrimp. Add shrimp to the marinade and turn to coat. I just use my glass square baking dish or a large bowl. Marinate the shrimp for 20 minutes, turning once or twice during the process. Drain shrimp. 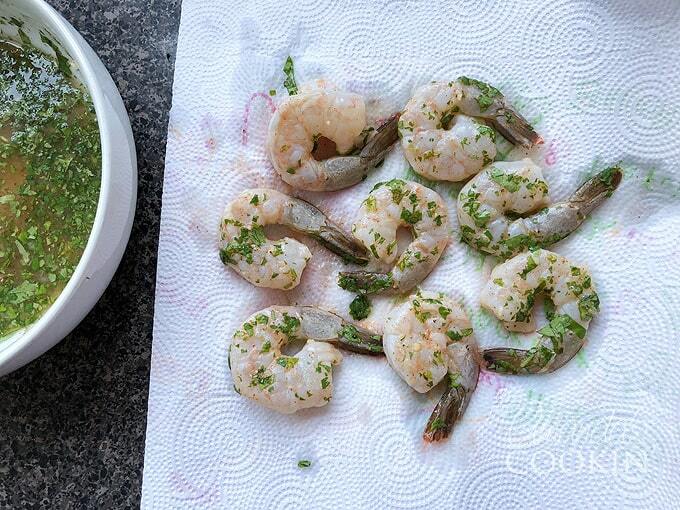 Remove the shrimp from marinade and drain on paper towels. This is what you want to do with any meat that you marinate. Draining the excess marinade and patting it dry with paper towels will allow the meat to brown nicely when you cook it. Excess marinade can burn in the pan and too much liquid will steam your food, not allowing it to brown. Prep the pan. Place olive oil in your cast iron skillet and preheat over medium to medium-high heat until oil is hot, but not smoking. Cook the shrimp. 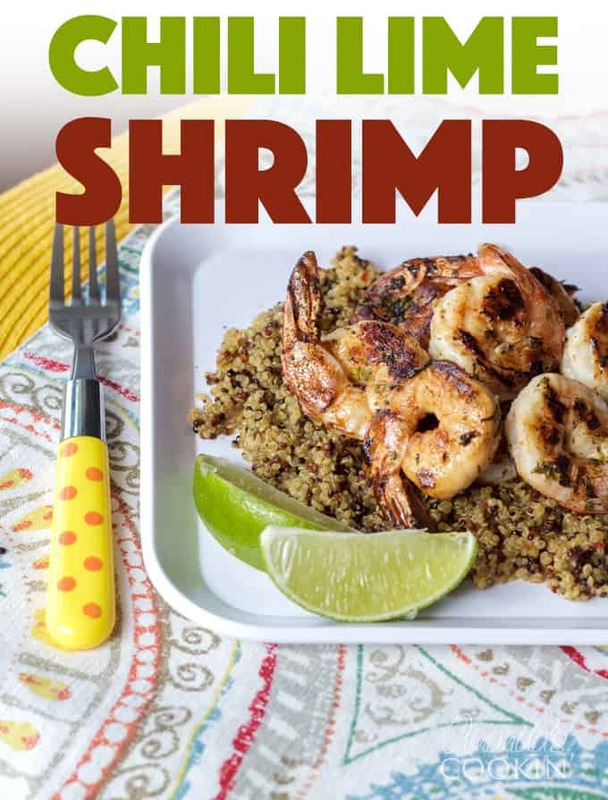 Place shrimp in hot cast iron skillet. Cook on one side for 3 minutes then turn shrimp over and cook for 2-3 minutes more. The outside of the shrimp will turn from gray to pink. Serve shrimp. Here’s the fun part! This can be served for dinner over a bed or rice or quinoa, or with freshly sauteed vegetables. You can easily make chili lime shrimp tacos with this recipe, or toss it with your favorite pasta. If you’re having a party, poke a fancy toothpick into each one and serve as an appetizer. 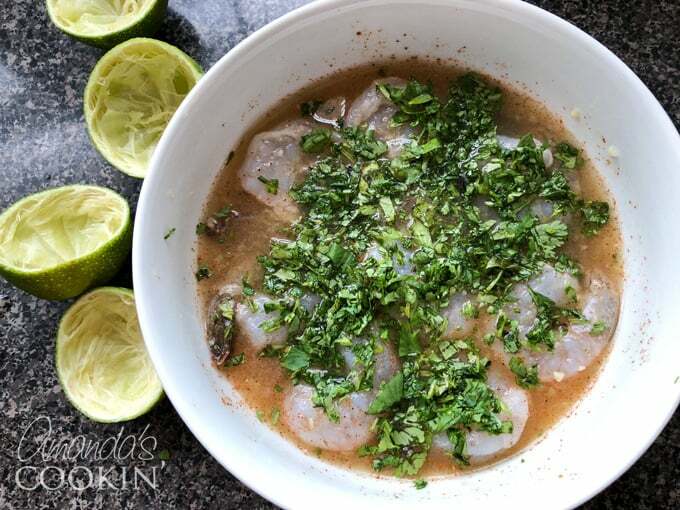 No matter how you serve this chili lime shrimp, it will be tasty, and yes, low calorie! If you love seafood, then you’ll definitely want to check out our salmon tacos, this Chinese style parchment fish, this amazing skillet broiled cod, and our tuna noodle skillet casserole. 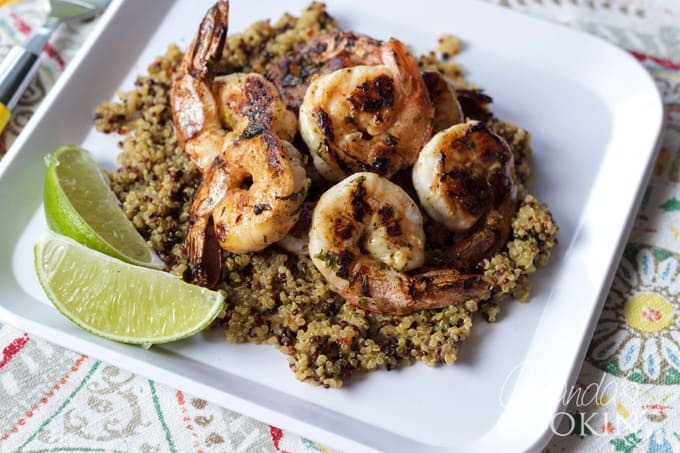 This Chili Lime Shrimp is not only delicious, it's versatile! Eat it for dinner, or use as an appetizer, on shrimp tacos, with pasta, or salad! Combine lime juice, chili powder, garlic, and cilantro and mix well. Add shrimp and turn to coat. Marinate shrimp for 20 minutes. 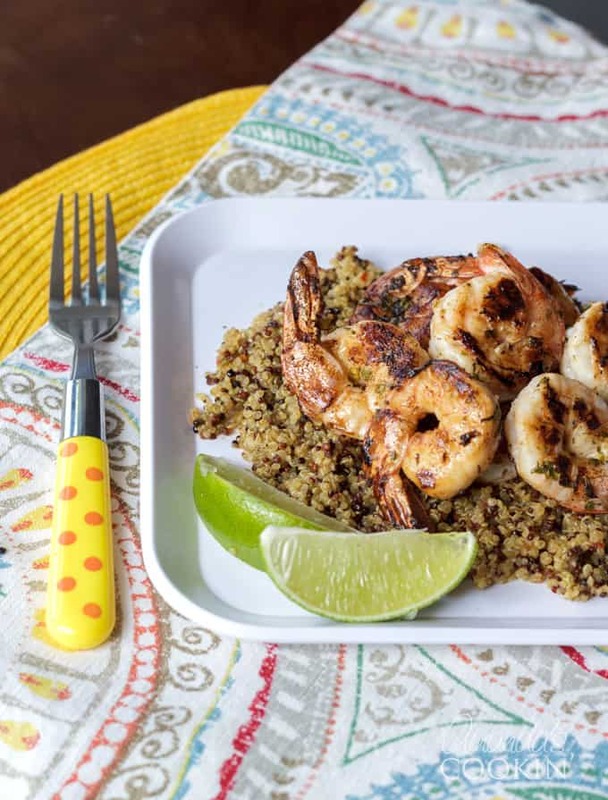 Remove shrimp from marinade and drain on paper towels. Place olive oil in cast iron skillet and preheat over medium to medium-high heat until oil is hot, but not smoking. 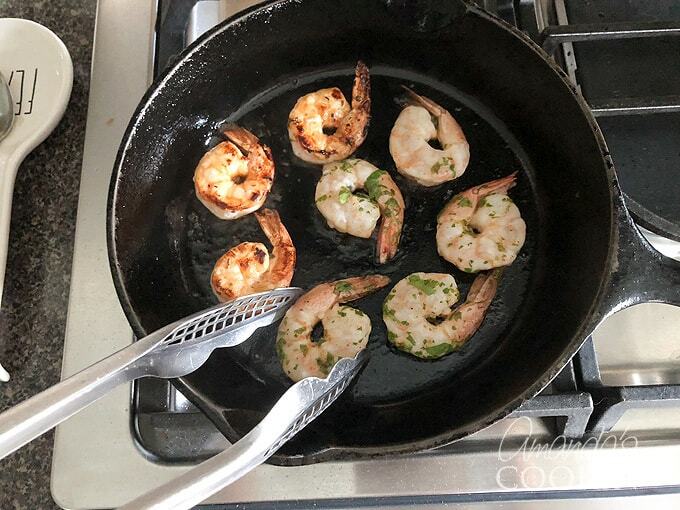 Cook shrimp in hot cast iron skillet for 3 minutes on one side. Turn shrimp over and cook for 2-3 more minutes.